Who's Behind The Movement To Ban Shariah Law? New York Times reporter Andrea Elliott profiles the Brooklyn lawyer behind the anti-Shariah movement. She says David Yerushalmi "has come to exercise a striking influence over American public discourse about Shariah." Protestors outside the White House rally against Shariah law. More than two dozen states have recently proposed legislation to ban Shariah law in their courtrooms. In the past year, more than two dozen states have considered legislation that would prevent the use of Shariah, the Islamic code that guides Muslim beliefs and actions, in courtrooms. Several prominent Republicans, including Sarah Palin, Newt Gingrich and Michele Bachmann have all recently warned about the threat of Shariah law. In Tennessee, lawmakers recently debated whether to classify suspected Islamic terrorist groups as "Shariah organizations." On today's Fresh Air, New York Times investigative reporter Andrea Elliott joins Terry Gross for a conversation about the state-level movement to ban Shariah law. 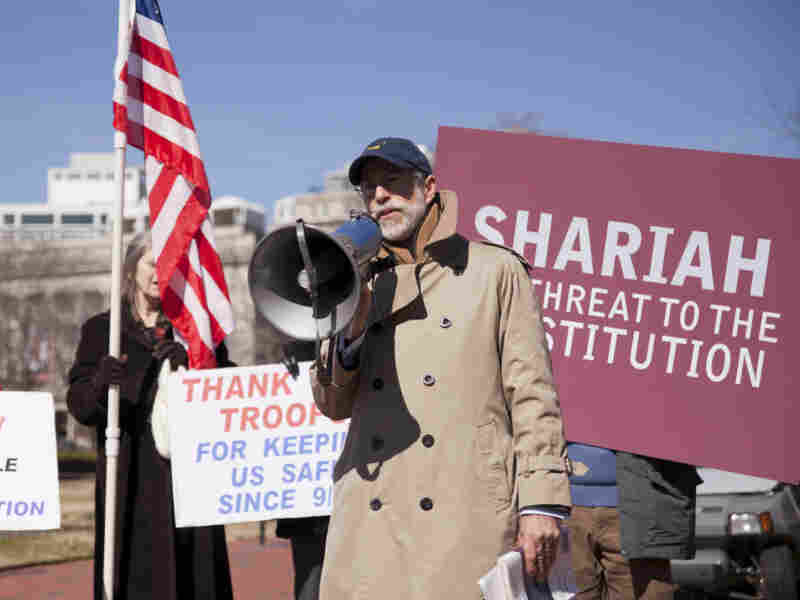 Elliott recently profiled David Yerushalmi, the Brooklyn lawyer who started the anti-Shariah movement and who she says, "has come to exercise a striking influence over American public discourse about Shariah." Who's Really Writing States' Legislation? "What was intriguing to me was how this man, who was really a fringe figure, came to cultivate allies and influence people at such high levels — former military and intelligence officials, leaders of national organizations, presidential candidates — how did he make that leap?" says Elliott. "And I think part of the answer is, in person he comes across not as the erratic character as some might suspect but as a sophisticated man who is convinced by his idea and has an endless appetite for defending those ideas." One of the people Yerushalmi first connected with was Frank Gaffney, the president of the conservative think tank Center for Security Policy in Washington D.C. In 2010, Gaffney — who once suggested that President Obama might be a secret Muslim — wrote an op-ed suggesting that then-Supreme Court nominee Elena Kagan should be investigated because of her support for Shariah law. "Gaffney really became [Yerushalmi's] bridge to a whole network of think-tanks and government officials, including Jim Woolsey, a former director of the C.I.A," says Elliott. "I would say Gaffney catapulted Yerushalmi onto a new platform of influence and their aim seems to have been to get people in circles of influence to understand Shariah in this totally new frame, as a totalitarian threat akin to what the United States faced during the Cold War." In 2008, Gaffney and Yerushalmi set up meetings with high-level officials at the Treasury Department. The two men argued that the Islamic financial industry lacked transparency. But the briefings went nowhere, says Elliott, and they began looking for other avenues — just as the Tea Party movement was taking off. 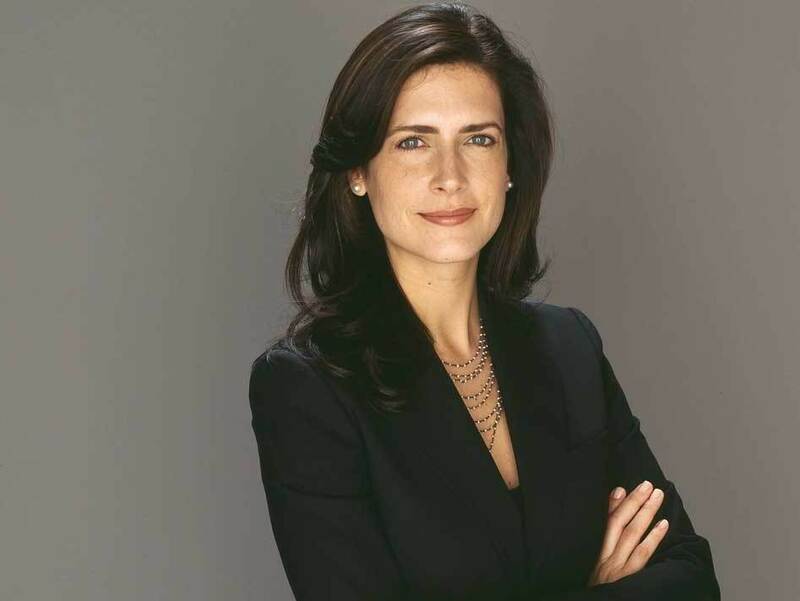 New York Times investigative reporter Andrea Elliott won the 2007 Pulitzer Prize for her series "An Imam in America." "Yerushalmi saw an opening there, in that people were calling for smaller government and greater state autonomy," says Elliott. "So he started to focus on state legislatures and began drafting the model legislation that would later sweep across the country." By the summer of 2010, anti-Shariah laws were being introduced in several state legislatures. Louisiana, Arizona and Tennessee have all passed versions of a bill restricting judges from consulting Shariah or broader categories of religious, foreign or international laws. Voters in Oklahoma passed an amendment to the Constitution banning courts from considering Shariah. "It's hard to say what the legal impact of these laws will be because the establishment clause of the Constitution prevents from the government from favoring or targeting one religion," says Elliott. "The Oklahoma amendment which singles out Shariah has been temporarily blocked by a federal judge pending the outcome of a lawsuit that argues that it infringes on religious freedom. But the three other laws that have passed are worded neutrally enough that they could withstand Constitutional scrutiny." "Shariah literally means the way to the watering hole and is more commonly referred to as 'the way.' It is, most simply put, the law that guides Islamic beliefs and actions. But when Westerners think of a legal code, they tend to think of a fixed set of laws and Shariah is a lot more fluid than that, in part because there's no governing authoring in Islam. So while Islam's four major schools of law agree on many basic areas of Shariah, there are many areas that lack consensus and there's really a whole spectrum around the world in ways Muslims observe Shariah law. One of the key points is missing in this debate is that Muslims living in non-Muslim countries like the United States, there is broad agreement that Shariah requires them to abide by the laws of the land in exchange for the right to worship freely." "[Yerushalmi] really set out on what might seem like an impossible mission, which was to make this very arcane and complex subject of Shariah a focus of national scrutiny. This was a word that was not even part of our vernacular a few years ago. ... A lot of people would argue that what has come of this is not really a substantive debate about Shariah as much as a shouting match. It's a shouting match that involves really simple messages on both sides — 'Shariah is bad' or 'Shariah is a non-issue.' But the leaders of this campaign really talk about it in a most preemptive way than a prescriptive way. What they say they're doing is trying to prevent Shariah from having the kind of influence seen in Europe, particularly in England, where the Muslim community is far less integrated and where there are Shariah tribunals."